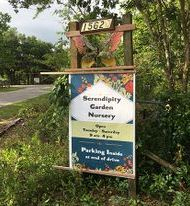 Helping you create a wonderful backyard habitat, based on sustainable principles, is what Serendipity Garden Nursery is all about. 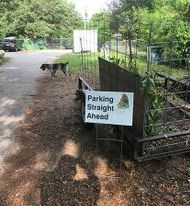 To aid this objective, we have re-imagined our front yard as a sales space for native plants, as well as a garden demonstrating a variety of sustainable practices for the landscape. 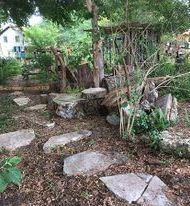 Come alone, or as part of a group, and learn more about the best plants for Florida yards, irrigating with harvested rainwater, and other gardening practices that will help keep Florida's environment healthier and sustainable. 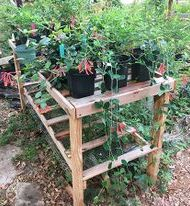 The nursery sells only plants that are Florida natives. 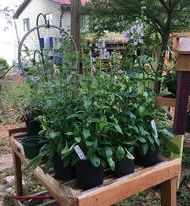 We keep a limited stock of a wide variety of wildflowers, including native milkweeds, shrubs, trees, and grasses. 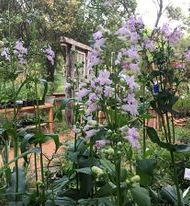 Click this link for a current list of available plants. You may want to call or email ahead of your visit if you are looking for a particular plant. 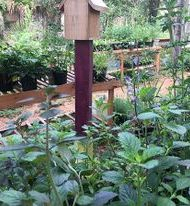 Since the focus of our business is to help you create sustainable, backyard habitat, we also offer for sale solitary bee nest boxes, bird boxes, bird baths, bat boxes, and flying squirrel boxes. We also have rain barrels for rainwater harvesting. 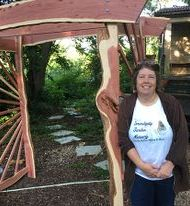 Finally, we are a showcase for some of the outdoor cedar and hardwood furniture, arbors, trellises, etc. 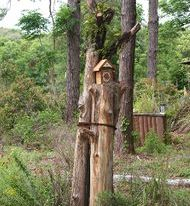 handcrafted by Terry Evans, because your garden should not only be a comfortable habitat for wildlife. You will want the pleasure of relaxing and enjoying your backyard habitat, as well! To learn more about the outdoor furniture, click here. 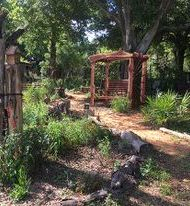 For those interested particularly in exploring more about Florida's native plants... below is a link to a PDF list of all the natives currently growing in Serendipity Garden. 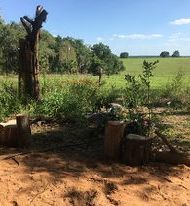 The intent is for the garden to not only provide inspiration and ideas for your own use, but also answer practical considerations such as light requirements and soil needs for individual plants that you may be thinking about adding to your own landscape. and more customized for your group's needs and interests. So call Taryn to schedule a date and a program for your group. For your own comfort, if you are visiting the Garden, I would recommend closed-toe shoes or sneakers. 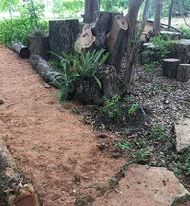 The path around the garden is mulched with packed sawdust. When you are off the path, you may encounter ants. Also, at certain times of the year, bug spray would not be inappropriate for people who are particularly bothered by mosquitoes, etc. Think a walk in the woods, as opposed to a stroll through Epcot. Check out our Spring Schedule of activities and workshops on our Calendar page. (dropdown menu above) At this time, we have one Walk & Talk and one Hypertufa workshop each per month. We are considering adding more programming, so watch our Calendar or Facebook page. The Walk & Talks are free and do not require pre-registering. They are scheduled on Wednesday mornings through April. The Hypertufa workshops require pre-registration and cost $30. We need a minimum of five people for a workshop to proceed. To register for workshops and programs, email thinkhabitat61@gmail.com Please put the name of the activity in the subject line. Are you a "craft-y" person? 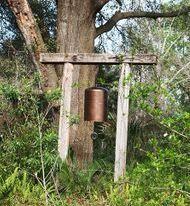 Especially like to create things for the garden? 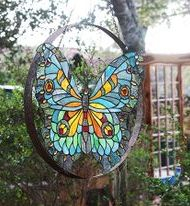 Like to get creative and recycle/upcycle materials for your YARD ART? We are looking for someone to lead/manage our workshop programming. If you want to know more...send an email to the above address with the appropriate subject heading.